President Trump has taken to Twitter to voice is displeasure with the Federal Communications Commission (FCC) for voting to block the merger of two media companies, Sinclair Broadcast Group and Tribune Media. Sinclair, a politically conservative media company, has generally been more sympathetic to the White House in its coverage than many other media outlets. "So sad and unfair that the FCC wouldn't approve the Sinclair Broadcast merger with Tribune," the president said in his tweet. "This would have been a great and much needed Conservative voice for and of the People. Liberal Fake News NBC and Comcast gets approved, much bigger, but not Sinclair. Disgraceful!" Of course, a presidential tweet does not carry the force of law. The FCC action will stand, unless Chairman Ajit Pai, a Trump appointee, decides to bring it up again. As we noted in our coverage last week, the vote of the FCC commissioners -- Republican and Democrat -- was unanimous in denying the merger. But politics apparently played little or no role in the decision. Democrats and Republicans on the commission were united in their concerns about the structure of the acquisition. 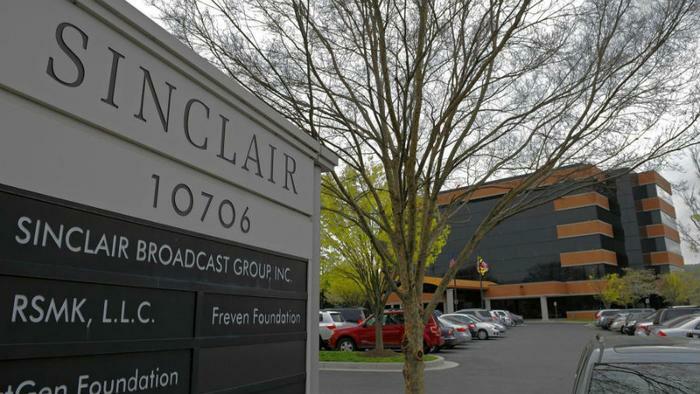 Pai said Sinclair's plans for divested stations would violate the law and recommended a “hearing designation order” (HDO) which would require Sinclair to appear before an administrative law judge and explain its offenses, a move that could kill the deal completely. Sinclair sought to add Tribune's 42 TV stations to its group, raising its total ownership to 215 stations. In their application to the FCC, the combined companies said the new arrangement would reach 72 percent of U.S. television households and would own and operate the largest number of broadcast television stations of any station group. Before broadcast ownership rules were changed, beginning in 1981, companies could own and operate only seven TV stations and none of them could be in the same or overlapping markets.